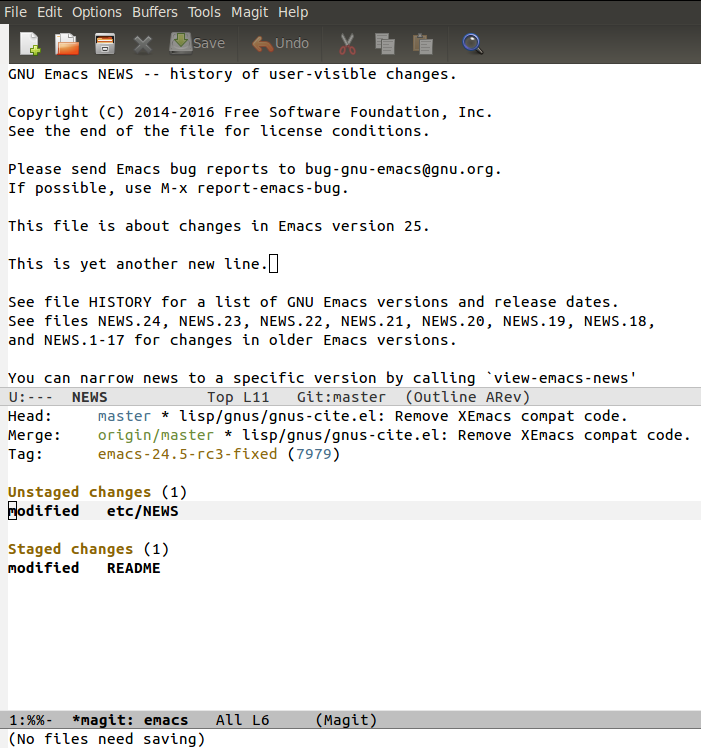 This article in the GNU Emacs series takes readers on how to use HTML mode, do indentation, and use the Magit interface. 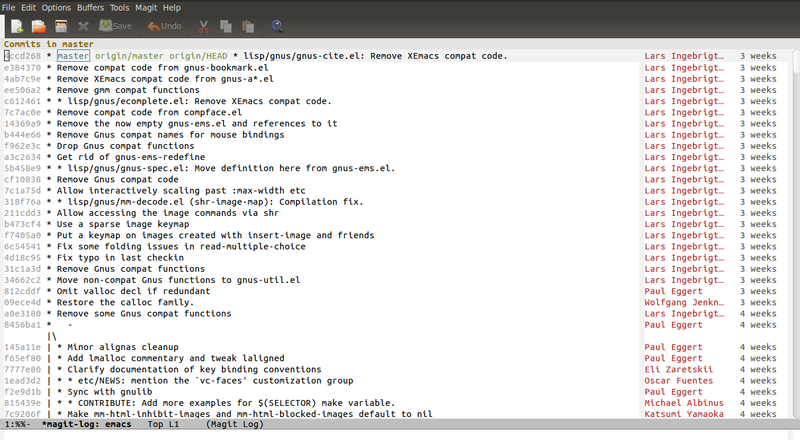 You can use HTML mode to effectively edit HTML and CSS files using GNU Emacs. To start the mode, use M-x html-mode. You will see the string ‘HTML’ in the mode line. A number of major modes exist for different programming environments. You are encouraged to try them out and customize them to your needs. When you do M-x list-packages, you will see ‘magit’ in the list. You can press ‘i’ to mark Magit for installation, followed by ‘x’ to actually install it. 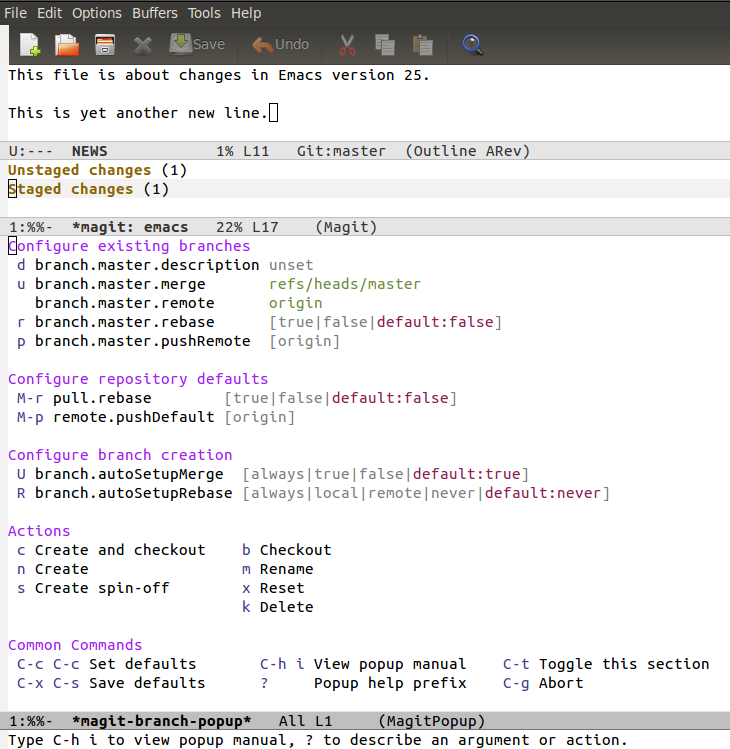 This will install Magit in ~/.emacs.d/elpa. The version installed on my system is magit-20160303.502. 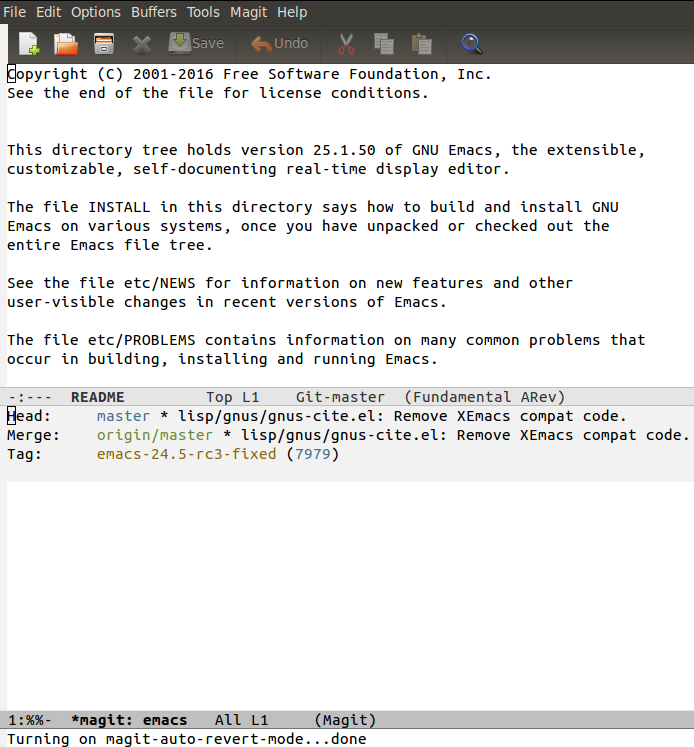 The default magit screenshot for the GNU Emacs project README file is shown in Figure 2. Pressing ‘l’ followed by ‘l’ will produce the history log in the magit buffer. A screenshot is provided in Figure 3. You can make changes to the project sources and stage them to the index using the ’s’ shortcut. You can unstage the changes using the ‘u’ shortcut. After making changes to a file, you need to use M-x magit-status to update the Magit buffer status. A sample screenshot of the modified files and staged changes is shown in Figure 4. You can hit TAB and Shift-TAB to cycle through the different sections in the Magit buffer. To commit a message, press ‘c’ followed by ‘c’. It will pop up a buffer where you can enter the commit message. You can create and checkout branches using the ‘b’ shortcut. A screenshot of the magit branch pop-up menu is shown in Figure 5. All the basic Git commands are supported in Magit - diffing, tagging, resetting, stashing, push-pull, merging and rebasing. You are encourged to read the Magit manual ( https://magit.vc/ ) to learn more.